Gerlingen, Germany – It’s now common knowledge that a more powerful battery will increase an electric car’s range. But can a new powertrain have a comparable impact? In the case of the Bosch electric axle drive, or e-axle, the answer is a definite yes. What’s so special about it is that Bosch has combined three powertrain components into one unit. The motor, power electronics, and transmission form one compact unit that directly drives the car’s axle. This makes the powertrain not only far more efficient, but more affordable as well. “With its e-axle, Bosch is applying the all-in-one principle to the powertrain,” says Dr. Rolf Bulander, member of the board of management of Robert Bosch GmbH and chairman of the Mobility Solutions business sector. It is precisely for this reason that the new powertrain is a potentially huge business opportunity for Bosch. The components are very flexible, which means the e-axle can be installed in hybrids and electric cars, compact cars, SUVs, and even light trucks – a huge market. 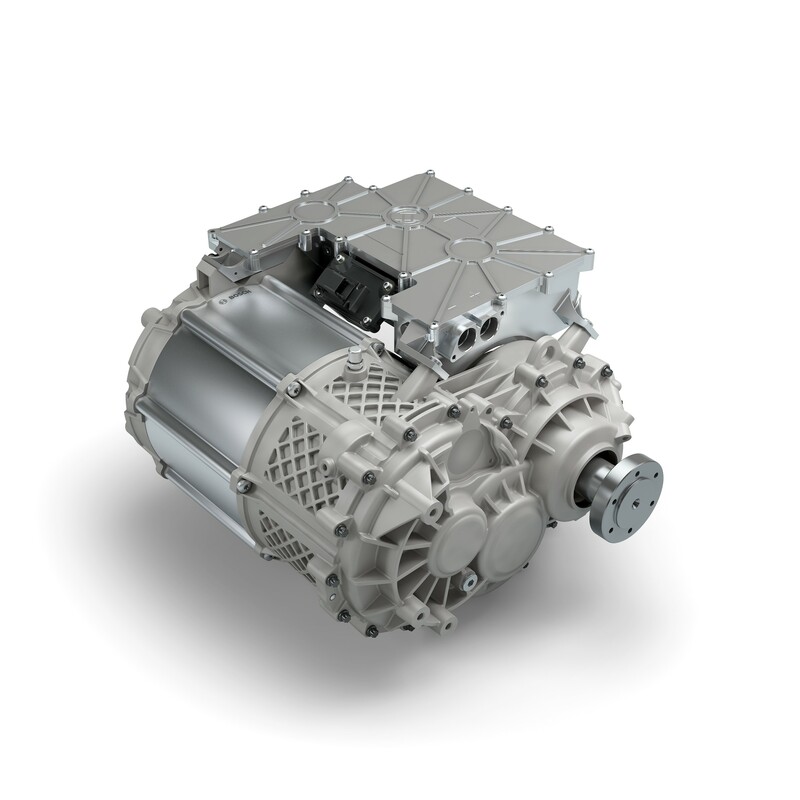 The e-axle is the ‘start-up’ powertrain for electric cars – also at established automakers. It allows them to save valuable development time and to get their electric vehicles to market considerably faster. 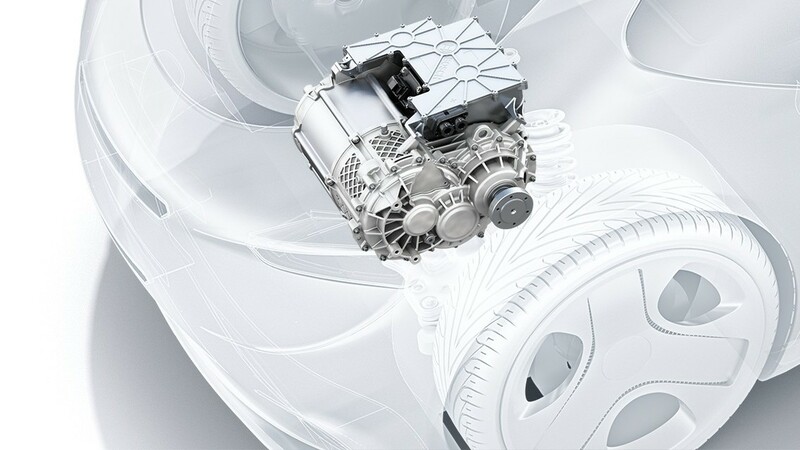 What makes the electric axle more efficient than previous electrical powertrains? Highly efficient individual components are the basis for a high level of overall efficiency. In this respect, Bosch has the benefit of years of experience in the market. In addition, efficiency losses are minimized by reducing interfaces and components such as high-voltage cables, plugs, and cooling units. One of Bosch’s strengths is its ability to combine individual components to form systems, to use the interactions in the system, and in this way to arrive at an overall optimum. In the case of the e-axle, this relates not only to efficiency, but also to things such as acoustics and electromagnetic compatibility. When will the e-axle be available in the market? Bosch has had electric axle drives in the market since 2012 (in the Peugeot 3008 and Fiat 500e, for example), but the power electronics was not fully integrated into them. With the new generation of the electric axle, Bosch is in the development phase, and is in contact with automakers from around the world. More precisely, samples of the electric axle are ready for use, and are currently being tested. Start of production is planned for 2019 at the latest. What vehicles can it be used in? The Bosch electric axle is designed so that it can be adapted to many types of vehicles. When installed in hybrid and electric vehicles, front- and rear-axle drive is possible. This applies to any vehicles up to a total weight of 7.5 metric tons, and thus to light trucks as well as passenger cars. Why is the e-axle less expensive than the powertrains used up to now for electric cars? 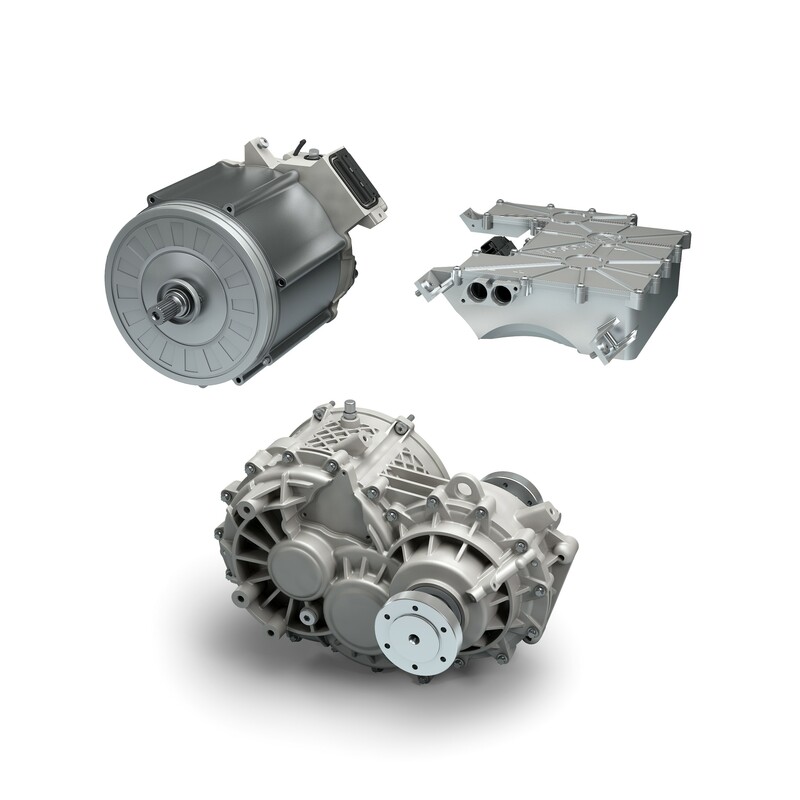 Since the e-axle combines power electronics, electric motor, and transmission in a single component, fewer parts are needed. For example, the new electric powertrain does completely without thick and expensive copper cables linking the components. In addition, the cooling system can be simplified, and there is no need for bearings for rotating components. This reduces the powertrain’s cost while increasing its efficiency. Placing the transmission close to the motor saves valuable installation space, which is always an important factor in the auto industry. How deeply is Bosch involved in electromobility? 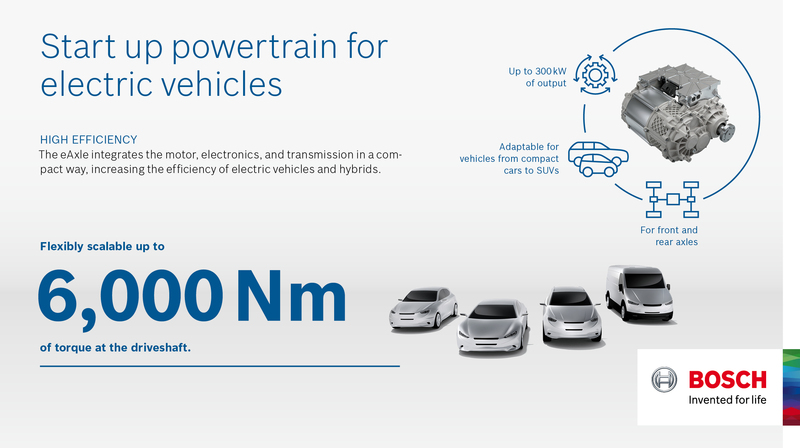 On the world’s roads, there are already well over 500,000 electric and hybrid cars fitted with Bosch components. In its efforts to make a breakthrough in electromobility possible alone, the company invests 400 million euros annually. The company has already won more than 30 electromobility-related orders from international automakers.